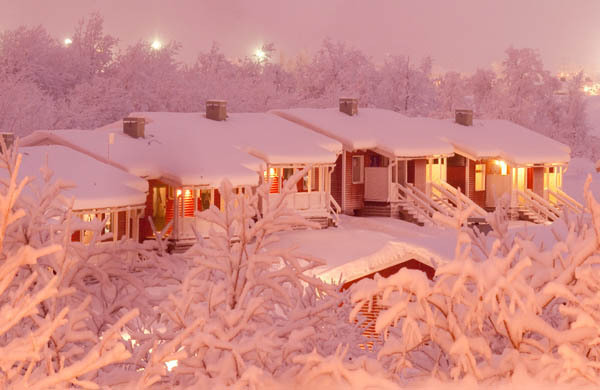 Even to the well travelled Swedes, a visit to the Swedish Lapland during the winter is an exotic adventure. Set amongst snowcapped mountains lit by sunlight that straddles twilight and dusk this region is best known for seeing the Northern Lights, but it is also home to Europe’s last remaining indigenous people- The Sami. Here’s a guide to our favorite attractions in the gorgeous and relatively undiscovered Swedish Lapland. The most well known attraction of this region is The Northern Lights- or the Aurora Borealis, nature’s dancing lightshow caused by solar wind showers hitting the Earth’s magnetic field. Since its first observation dating back to 2,600 BC, this otherworldly Aurora Borealis has captivated cultures generating tales of folklore and myths around this magical experience. According to Swedish legend frequent displays of Northern Lights is a sign of good crop yields in the coming year. The best place to view the Northern lights is in Abisko Park which is home to a cozy hotel and the Aurora Sky Station perched atop a mountain peak that offers unobstructed views of the heavenly skies as well as a gourmet restaurant serving local Arctic cuisine. Located 200 km above the Arctic Circle in Jukkasjärvi is the art and design centric ICEHOTEL. What started as a design experiment 27 years ago by founder Yngvt Bergvist to attract visitors to the region has grown into a year round full service hotel that is crafted from blocks of ice by artists from around the world. This year marks the launch of ICEHOTEL 365 with ‘permanent’ ice rooms sustainably maintained by solar powered refrigeration technology that keeps the hotel at a steady 20 degrees Farenheit (-5 degrees Celsius) year round. Traditionally, the ICEHOTEL rooms and 35 art suites would melt back into its source- the adjacent Torne River, by May, the 365 rooms will remain open during spring and summer. Though ice ‘glamping’ doesn’t come cheap with ice rooms starting at $600 and going up to $1000 for the luxury suites equipped with ensuite bathrooms and saunas located in the ICEHOTEL 365. In keeping with the Ice theme, this is also home to the original ICEBAR launched in 1994 where guests can sit on ice stools lined with reindeer skins and sip cocktails in ice crafted glasses. Every year the ICEBAR is redesigned by different artists who take inspiration from a central theme to create a unique experience for visitors. 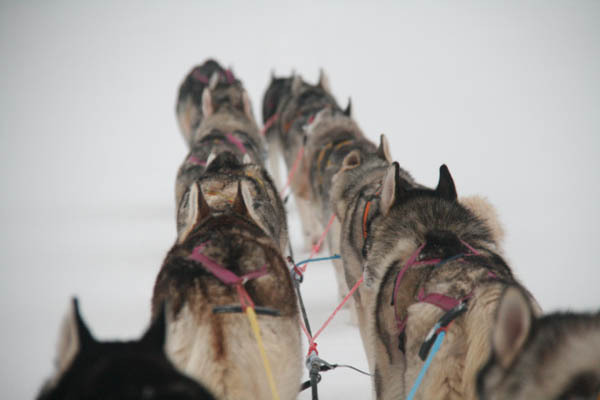 As one of the top restaurant’s in Northern Sweden, be sure to stop by their warm restaurant and dabble in Chef Alexander Meier’s delicious Nordic tasting menu featuring local provisions like moose, reindeer, and arctic char all served on plates and bowls crafted from ice from the Torne River. 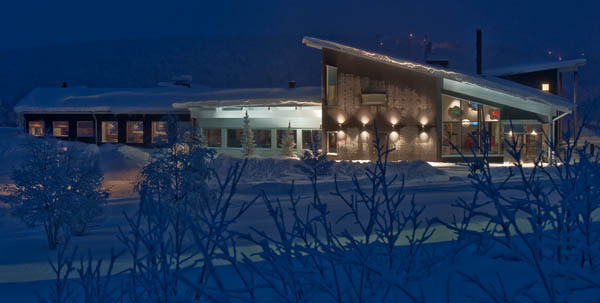 Refresh and rejuvenate the Swedish way at the Aurora Spa in Camp Ripan, located in Kiruna. Indulge in treatments based on Swedish and Sami traditions at your own pace. Experience different sauna therapies, Torne Valley medicinal scrubs, and hydrotherapy pools including an outdoor pool illuminated by the night sky with the possibility of a Northern Light show. Characterized by its beautiful snowy mountain range and vast landscapes is Bjorkliden which is easily accessible by train from Kiruna. 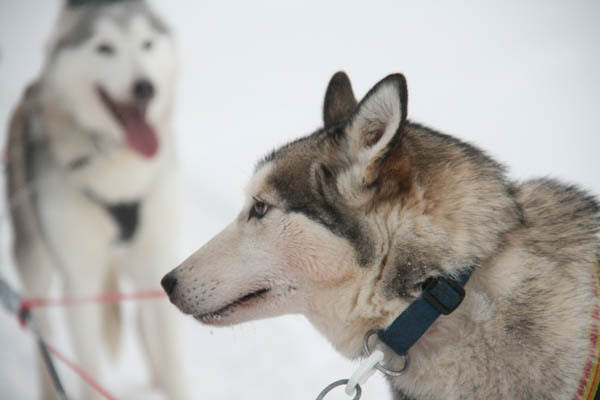 It’s also home to the region’s most popular winter sports including skiing and dogsledding. 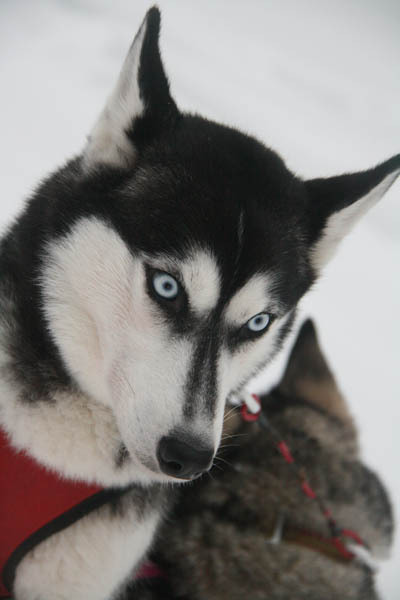 Take a dogsledding ride through the peaceful wilderness powered by energetic huskies that can race up to 200 miles per day. While Aurora hunting, stay at the nearby Bjorkliden Fjallaby hotel designed as a traditional ski lodge with panoramic views of the snowcapped mountain range and lakes. Nordic and Arctic cuisine is quickly becoming the next big thing amongst foodies. Experience the best of the region from a local’s perspective with the exclusive and intimate The Taste of the Arctic dinner led by an emergency rescue team leader and guide, Anders Bergwall. He will share his tales of his Nordic adventures such as battling a polar bear or sleeping in -50 degree extremes while on a rescue mission while preparing a delicious meal of local provisions like smoked reindeer and arctic char. With unpredictability in the weather- such as gusty 100 mile per hour wind storms, avalanches, and heavy snow, getting around on your own isn’t always easy in this region. 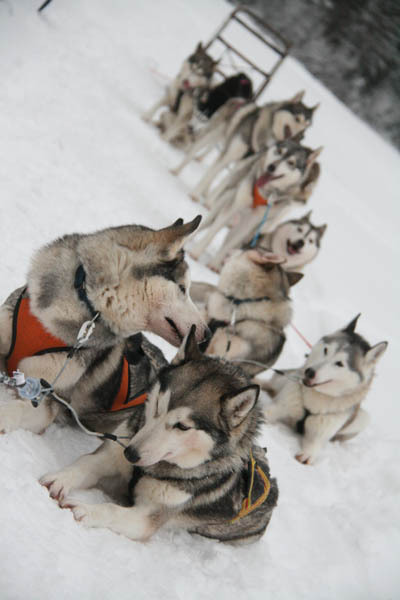 This 4 day adventure from Kiruna to Bjorkliden was part of Off the Map Travel’s itinerary whose seasoned guides can provide and enriching and safe experience for travelers to show them the best of the Swedish Lapland. The best way to arrive in Kiruna from around the world is with SAS who recently celebrated 70 years as Scandanavia’s preferred airlines. Daily nonstop flights are available from the US to Stockholm with daily connections to Kiruna.